Pinners is really two great events in one- not only is it a conference featuring 100+ Pinterest-based classes, but it’s also a show with nearly 300 top businesses providing beautiful options in the worlds of DIY, crafts, cooking, self-improvement, photography, party planning, scrapbooking, holiday, beauty and fashion and more. The Pinners Conference is coming to Southern California! 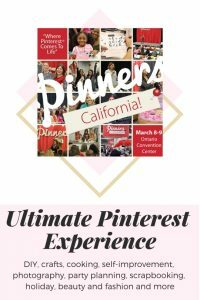 If you haven’t been yet, the Pinners California Conference is the ultimate Lifestyle DIY, Crafting, Making, Creating and Shopping Experience. Pinners is really two great events in one- not only is it a conference featuring 100+ Pinterest-based classes, but it’s also a show with nearly 300 top businesses providing beautiful options in the worlds of DIY, crafts, cooking, self-improvement, photography, party planning, scrapbooking, holiday, beauty and fashion and more. Its like two days of living Pinterest! Really, what could be better? Right? The Pinners Conference will be held March 8-9, 2019 at the Ontario Convention Center. As you all know, I am a huge fan of Pinterest…I use it for everything! I have discount codes coming soon…but it could definitely sell out, so grab your tickets now if you can – general admission starts at $8 so its super affordable! Bring your kids. Or don’t. Either way, hope to see you at the conference! The Ontario Convention Center will host Pinners Conference & Expo California, Friday and Saturday, March 8 – 9, 2019. 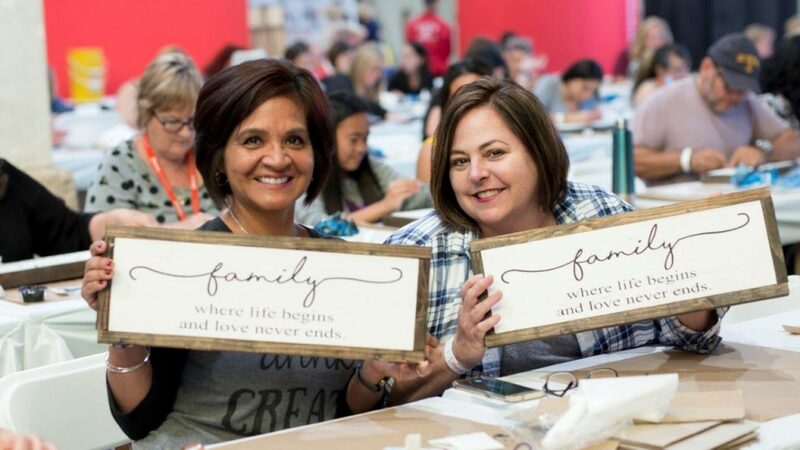 Pinners Conference is a must-attend event where lifestyle experts connect with those who love to craft, cook, and create. For two days, guests will have the opportunity to attend more than 100 classes and presentations covering a variety of topics led by industry leaders. 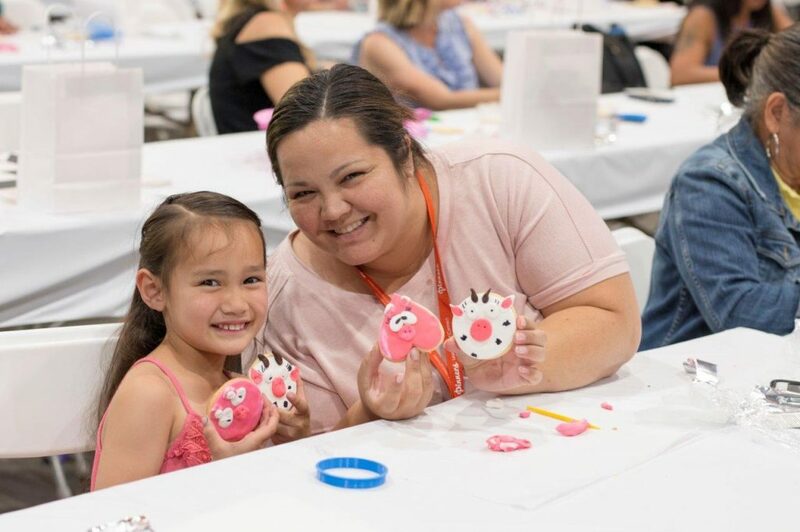 The Pinners marketplace includes 300 top businesses providing beautiful options in the worlds of DIY, crafts, cooking, photography, party planning, scrapbooking, holiday, beauty and fashion and more! . Want to learn Macrame or chalk painting? Enroll in Macrame Plant Hanging or Chalk Painting 101. Looking for a twist on flower arranging? Try Wood Floral Arrangements. There’s also Japanese Kokedama String Garden Workshop, Handlettering, styling, sewing and quilting classes, hair braiding – and dozens of other unique classes available!